IIMPORTANT: When purchasing a section, set quantity to 1. Ashes of Old Ways is a roots rock/new Americana band from the "Edge of America" Folly Beach, South Carolina. Sweet Sweet lead singer Jeremy Dunham recently described the band as "what it would sound like if Wilco and the Grateful Dead had a baby" which hits somewhere close to the mark. The band is gearing up for its Fall tour dates in the southeast and working on its fourth album of original material "From the Ashes Part II"
The fire that would grow into Ashes of Old Ways was sparked on a road trip to Nashville, Tennessee in April of 2016. Singer-Songwriters Dave Britt and Bobby Sutton were traveling together to perform in a music showcase called SC to Tennessee. The day after the show the two had time to write together for the first time and the end result of that writing session was a song called Living in the Present Tense. The strength of that song would lead the pair to form a new band together that would become Ashes of Old Ways. Dave and Bobby were then introduced to the skilled and affable bassist Jamie Crisp whose talents really started bringing the band's music together. 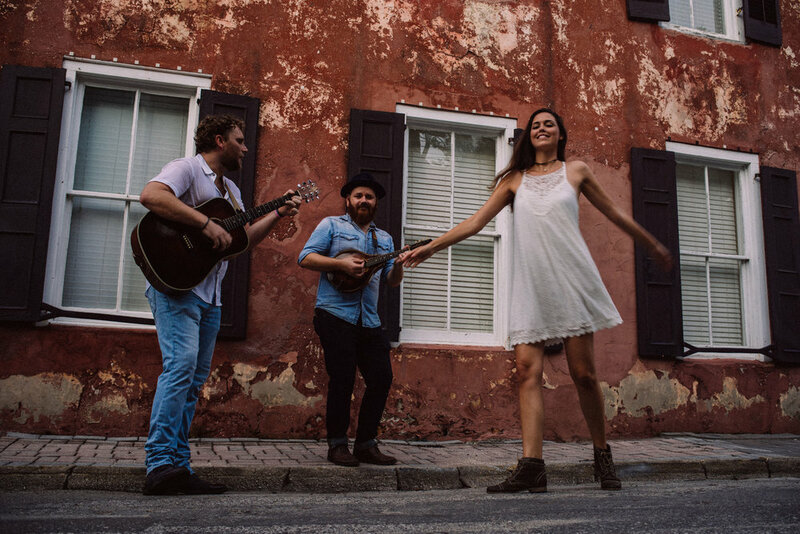 With a fresh new sound emerging and with Crisp's deep ties to the local Folly Beach community, the band quickly began building a fanbase that continues to grow and support the act. Drummer Cre Moore was added to the mix next and brought a solid rhythmic backbone to the music as well as a musical lineage that is well known and much respected in Charleston, SC. Recent addition Adam Gould is a guitar and mandolin virtuoso that brings melodic beauty and technical proficiency to the band. Finally, Alexandre Goyette brings head-turning keyboard skills and a mix of sounds and tone that breathe modern life into the classic foundation on which the band thrives. Ashes of Old Ways continues to work hard and grow with the goal of bringing real music to real people and to spread their belief that music matters.